HomeBlogArticlesWhat Does Aging in Place Actually Mean? 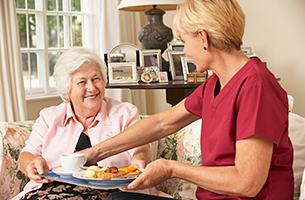 According to the experts in our senior assisted living facility, aging in place is used to describe a situation when a senior individual makes a conscious effort and choice to stay in their home along with the required services to make their life peaceful and comfortable. Some people tend to think aging in place can help solve problems in the later years of life. On the contrary, it can only address and help fix those issues that have been planned for in advance. 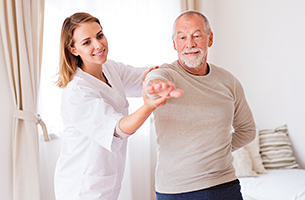 Although aging in place refers to maintaining the quality of life in your senior years, ideally, it should help make it better as well so that you can live comfortably. To live comfortably in the later years of life, you must put in place the required financial plans for retirement as early as possible during your working years. In addition to this, they must also be revised, adjusted, and updated as per your changing requirements. These impending changes can affect the way you live. Thus, planning for your future residence in the later years of life with these things in mind can help you be better prepared to face any associated risks and challenges. Many people above the age of 65 years who either live by themselves in their own homes or with their spouse have issues with everyday tasks. They face difficulty in taking care of their health and doing household chores. This is why their mental and physical condition tends to deteriorate. At Wyndemere Woods in Rhode Island, we take measures to ensure that you have a comfortable living space where all your needs are met. We have a variety of facilities such as a computer room, library, recreational lounges, outdoor patio with benches, landscaped grounds, and gardens. For more information about Wyndemere Woods, get in touch with our specialists by calling 401-762-4226. You could also fill out our online form to book a tour with us. We also offer a free pre-admission assessment by a registered nurse.